One week ago today, an important person in my life died. 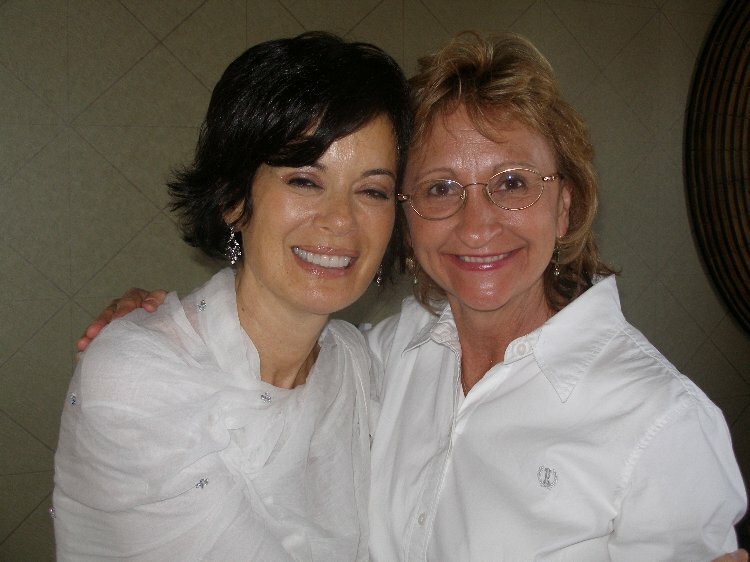 I met Debbie Ford in January of 2006 at the Shadow Process Workshop in San Diego. It was the first step of an incredible, transformational journey that proved the saying, “When the student is ready, the teacher will appear.” I was ready, and Debbie taught. She taught me so much and so well, it’s hard to remember how resistant I was at first, how terrified, how uncertain. Debbie taught me to trust my heart, to believe in my own inner wisdom, and to trust the process. After a lifetime of holding myself to impossibly high standards (i.e., perfection), it was Debbie who taught me how to accept and love every part of my humanly flawed self. The last seven years have evolved my soul and transformed my spirit. This past week has been a roller coaster of emotion for me. I will openly admit I’m no good at dealing with death–with anyone’s death. My parents modeled nothing but avoidance for me. Death has claimed my grandparents, my aunts and uncles, cousins, and both of my parents. I have not attended one funeral of a family member. We don’t “do funerals.” I guess in my family, it is expected that people have the consideration to die with as little disruption to the world around them as possible. We are to disappear quietly, leaving behind as many good memories as possible along with adequate instructions for the distribution of our belongings. Death in our family is treated sort of like the person moved to another country. We talk about them, remember the good times, but they’re so far away that we never quite get around to visiting or calling. So, this week I’ve been bouncing off the stages of grief like a pinball being flipped around inside a supercharged arcade game. On a daily basis I may decide that Debbie’s death doesn’t affect me (denial), followed by the urge to go back to bed (depression). Then I find myself raging in an email about something she said four months ago (anger). 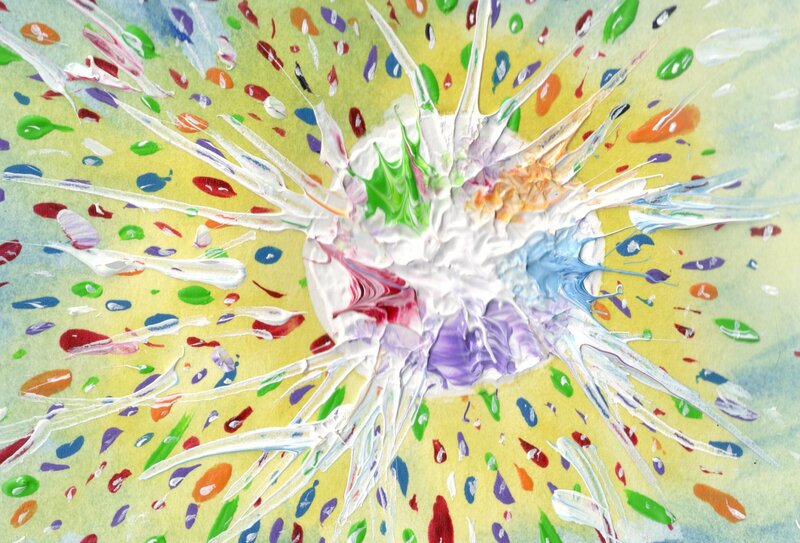 Soon I am painting in the cottage and feeling as though I am one with the universe (acceptance). Before you know it I’m telling God that it was her time, but it’s not my time; her work was complete, mine is just beginning (bargaining), only to be interrupted by more tears and an angry declaration that she just wasn’t that big a deal to me in the scheme of things. See, I told you I was no good at this! And that’s okay. I love that I’m no good at this! Because I’m not a bit worried that I’m not “doing it right,” that I am somehow “less than” because I don’t grieve like everyone else, or that I won’t find a way out of my sorrow. I learned from Debbie Ford that whatever I choose as a way to process my grief is perfect for me, and if I just allow my heart to guide the way, the process will lead to the evolution of my soul. Goodbye, Debbie. I love you, and I will miss you. 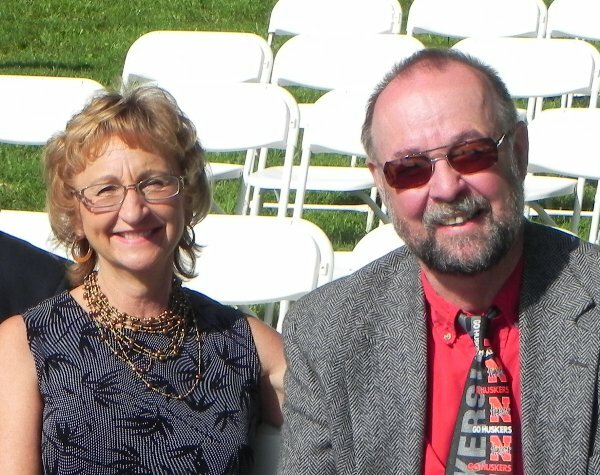 Today is our 32nd wedding anniversary. Very romantic, getting married on Valentine’s Day, right? Would you like to hear the proposal? It wasn’t until a day later that we realized “next Saturday” was Valentine’s Day. 1. When we met in February of 1977, we didn’t like each other at all. He was one of my bosses at the Nebraska Public Service Commission. Behind each others backs, I called him “Mr. Military” and he tried to get me fired. 2. By August that same year, everything had changed. We embarked on our first road trip, from Nebraska to the East Coast. Even after 60+ hours of driving, we never ran out of things to talk about. And we still haven’t. From our 1977 Road Trip. 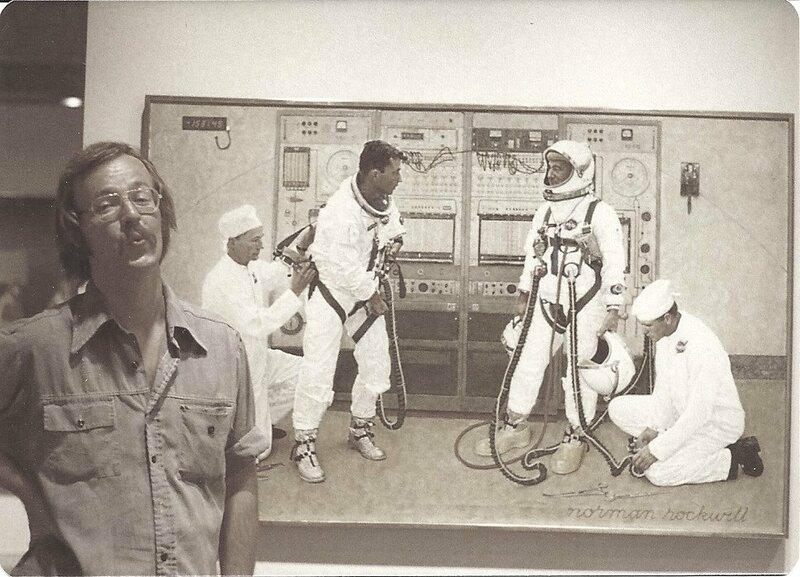 This is Dannie at the Air and Space Museum standing beside an original Norman Rockwell painting. 3. We make up jokes about everything. Maybe it’s shared punch lines that keep us together. (“You never count your checkers while you’re sittin’ on the litter … there’ll be time enough for countin’ when the poopin’s done.” Five points if you can name that song!) We have thousands of insider jokes. I just love that about us. 4. When we lived together in Lincoln, we walked to work (just over a mile), and we still regularly love taking long walks together year round. 5. We’ve always had clearly defined chores. Currently he makes the bed, does the laundry, and takes out the garbage. I cook, manage the finances, and clean (with the twice-a-month assistance of Connie). 7. Behind the wheel, he is the one who drives too slowly. I have a lead foot. 8. He snores (sometimes), and so do I (sometimes). 9. When I worked for Columbia Gas, Dannie packed my lunch every day for four years and always included a love note. 10. We do our grocery shopping together, and he always complains about how long it takes me to read the labels. 11. Most TV watching we do together. Over the years our favorite shows have included MASH, 30 Something, LA Law, Friends, Mad About You, Desperate Housewives, Modern Family, and Parenthood. 12. He took all the fun out of Nebraska Football by insisting that it was NOT “just a game.” This is one of two topics we have agreed to NEVER discuss again. Happy Anniversary, Dannie! Way back when, everyone said it wouldn’t work … hasn’t it been fun proving them wrong?!? How long can YOU meditate? My friend Amy gave me these beads when we had breakfast together a couple of days ago. 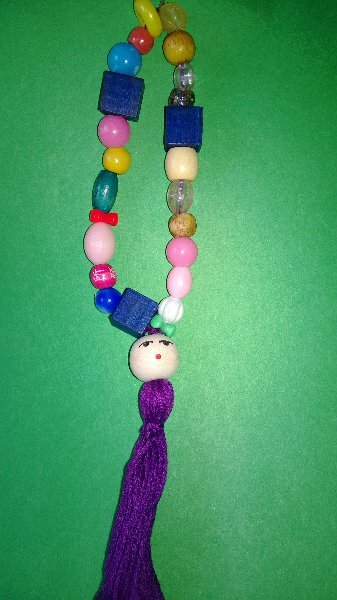 She didn’t call them “prayer beads”; she mentioned using them for deep breathing and centering. So, I’m calling them “Breath Beads.” I counted them. There are 24 on the strand, not including the face bead, which doesn’t have a mouth . . . to remind me to stay silent once in a while (I made up that last bit, but it sounds good, doesn’t it?). This morning I decided to observe the process of using the beads. I thought I might slip into a nice meditative state. Instead, I noticed my typical pattern with anything new. I immediately slipped into a nice analytical state. After two minutes of this, I completed my first Breath Bead Experience. And now my mind feels satisfied that it sort of knows what to expect next time. Maybe it will settle down and let me notice more than a single breath when I try it again tomorrow morning. Silly me to expect the first time to be anything but a Left Brained Bonanza. Oh, how well I know that little scientific mathematician inside me who is ever busy making sense of the world around her. Analyze to your heart’s content, my dear. Trust me, though, when I tell you there is joy in not knowing, in simply resting in the perfection of experiences that can be neither measured nor controlled. I know . . . I know. It makes no sense! But that’s the point. It’s not supposed to. Hey, I have an idea. What if you observe me tomorrow while I breathe, and you can analyze it all you want after the two minutes have passed. Shall we give it try?